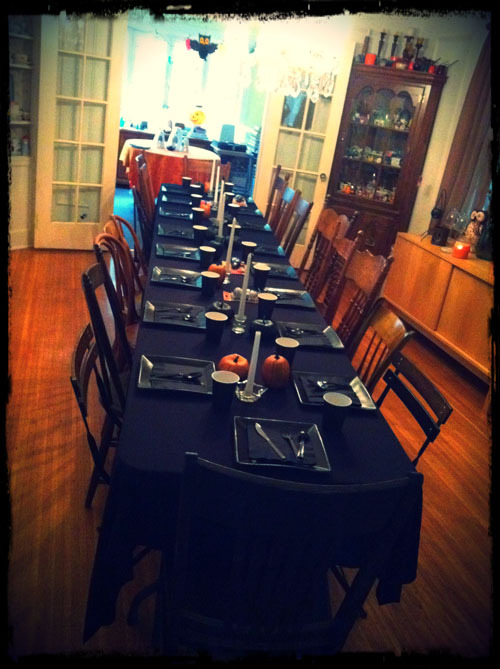 Today I set the table for a Halloween Dinner Party. It always feels a little like Charlie Brown's Thanksgiving when I set the extra long table in my dining room. 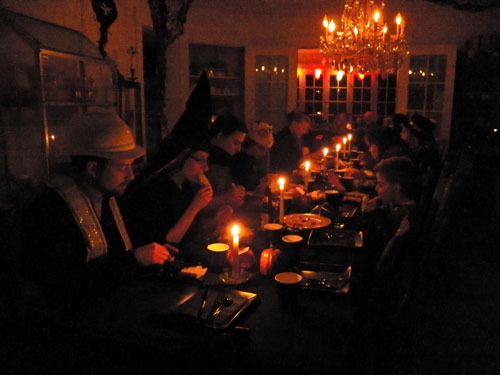 This year it was a potluck and we had so many tasty dishes to enjoy in a spooky atmosphere. Me? 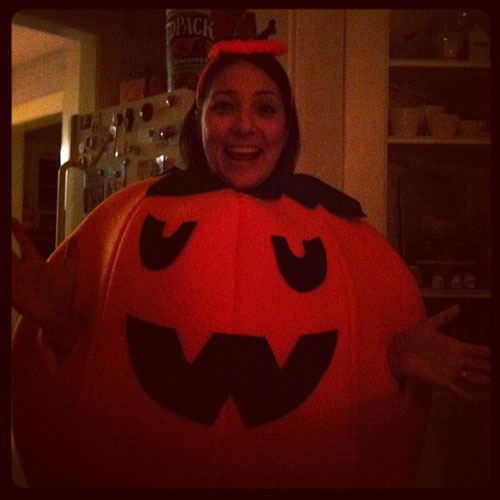 I pulled my pumpkin costume out of the attic from over ten years ago. I was so relieved it still fit! 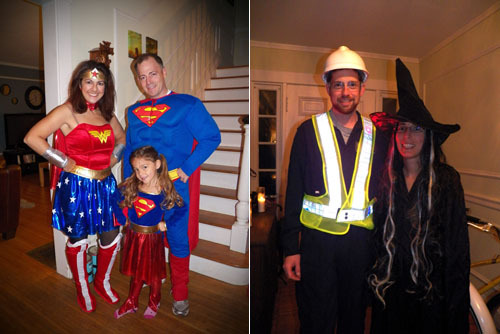 I went back on my blog to see if I had a picture of the costume back then. I found the blog post but the image link is broken. Back them I probably had my images hosted on angelfire or something. I have them all on a hard drive somewhere... gotta see what I can do. That's why it's so important to free the photo and print your images!